Update: It seems this leak is almost certainly a fake. We raised our suspicions in the original article (below) and as AndroidPolice now notes, it appears the screenshot is actually from a Huawei phone and the details have been changed to read HTC 11. 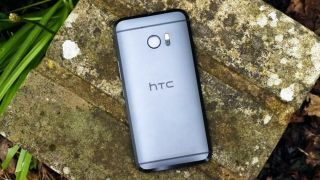 We do however, expect to see HTC's next flagship phone (which won't be called the HTC 11) arrive with a Snapdragon 835 chipset as it's the latest offering from maker Qualcomm. There’s one screen on a phone that tells you almost everything you need to know about it: the ‘About Phone’ screen, and it’s this that has seemingly just leaked for the HTC 11, revealing many of the key specs. The screenshot, which was posted on Weibo (a Chinese social networking site), shows a Snapdragon 835 chipset, 6GB of RAM, 128GB of storage (with 112GB available to the user), a Sense 9 interface running on top of Android 7.12 and a 1556 x 2550 screen. While most of these specs are believable, the screen resolution is a red flag, as it’s not a normal smartphone resolution, seeming close to a 1440 x 2560 QHD display, but not quite right. That doesn’t necessarily mean this is wrong, especially with the LG G6 expected to sport an unusual aspect ratio too, but it does call the credibility of the leak into question, especially as it doesn't match previous resolution leaks. And that’s not the only odd thing, as the phone is also listed as the HTC 11, despite HTC itself strongly suggesting that its next flagship won’t launch under that name. All that, coupled with how easy it would be to fake an About Phone screen, means you shouldn't base your next phone decision based solely on this. But at least the timing is right: with the HTC 11 possibly launching in the next few months it wouldn’t be at all surprising if we were starting to see genuine screenshot leaks.